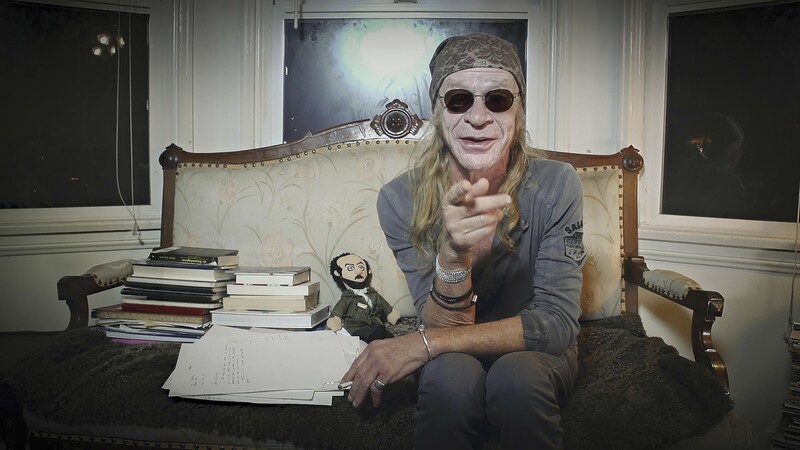 The new documentary tells the unsung story of Kubrick's right-hand man, Leon Vitali. Leon Vitali reminisces in Filmworker. One of the most flamboyant characters in the late Stanley Kubrick's 18th-century literary adaptation Barry Lyndon is Lord Bullingdon, the protagonist's intractably jealous stepson, played by English actor Leon Vitali. It is pouty-lipped bad boy Bullingdon who essentially seals Barry's fate in one of the film's suspenseful duel scenes. After that movie was released in 1975, Ryan O'Neal, Marisa Berenson, and the rest of the cast went their separate ways, but Vitali, who had taken careful note of the director's working methods while on the set, made a pitch to Kubrick. He wanted to stay on with the production company and learn the craft from the master. Kubrick agreed, and Vitali went on to serve as Kubrick's assistant on the filmmaker's final three releases: The Shining, Full Metal Jacket, and Eyes Wide Shut. That apprenticeship — which led to a short list of screen credits for Vitali on non-Kubrick projects — lasted 24 years, during which Vitali came to function almost as Kubrick's moviemaking alter ego. Tony Zierra's documentary Filmworker, made with the full cooperation of Vitali, is a curious but fascinating tale, as much an inside portrait of the notoriously private Kubrick as it is a profile of his devoted disciple. For Kubrick fans, watching this doc is like stumbling into a glittering gold mine of movie lore. Alongside other talking heads including actors O'Neal, Matthew Modine, and Stellan Skarsgård, Vitali chats candidly about the legendary director's high period. In the Barry Lyndon scene in which Barry pummels Bullingdon, Kubrick demanded several retakes — evidently O'Neal wasn't hitting Vitali hard enough to suit Kubrick. On The Shining, Vitali was the acting coach for Danny Lloyd, in the key role as the "haunted" son riding his Big Wheel bike (some 4,000 kids were auditioned for the part). And it was Vitali who cast the iconic "Arbus twin" girls. R. Lee Ermey, whose walk-on role as the foul-mouthed drill instructor in Full Metal Jacket made him a cult hero, credits Vitali with coaxing that performance out of him. Vitali also played numerous bit parts, all of them masked, in Eyes Wide Shut. According to Vitali, he himself finished that film after the ailing Kubrick grew weak. Interviewed by Zierra in Los Angeles, Vitali today resembles an aging hippie who has spent too much time at the movies. By most reckonings, he turned down a promising acting career to follow Kubrick, and ended up handling a bewildering variety of tasks — location scout, dialogue coach, casting consultant, sound effects artist, color timing technician, advertising layout artist, etc. — for little pay. Part of Vitali's job was to keep track of every single reel of all of Kubrick's work, with the aim of archiving it all. His entire existence came to revolve around his boss, but he was evidently more than just a general factotum. In his view, his job was to take care of things no one else — even the maniacally task-driven Kubrick — had even thought about. So in a sense, a major part of Kubrick's reputation for obsessing over every detail was due to Vitali's hyper-diligence in covering all the bases, down to such matters as store-window merchandise displays and supervising a different style of trailer for each country that played a film. Kubrick famously gave everything he had to his work. The younger man followed suit, in the "addictive environment" of devoting oneself totally to the creative process.